This Super Yoga Mat Cleaner by Gaiam allows you to clean your yoga mat and remove that stickiness without damaging the fibers. Gaiam's Super Yoga Mat Wash contains organic essential oils with proven antiseptic, antibacterial and moisturizing properties. Maintain your non-slip surface while keeping your mat clean!. 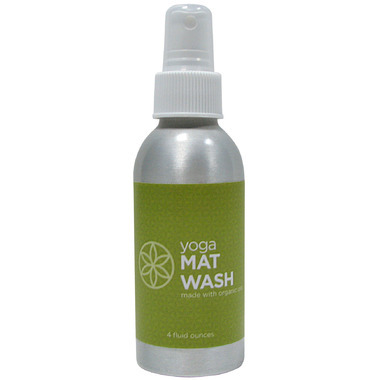 Easy to use and clean my yoga mat perfectly and I love the smell.